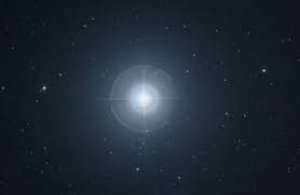 Polaris is our nearest Classical Cepheid, one of a rare and important class of very luminous supergiant stars that pulsate. The relation between intrinsic brightness (luminosity) and pulsation period permits Cepheids to be used as "standard candles" for measuring the distances to galaxies both near and far. "The previous large uncertainty in the distance to Polaris was a real impediment to pinning down the properties of our nearest (and dearest) Cepheid. The Gaia Mission measured its distance to better than one-half percent," said Guinan. "Working with a precise distance measurement opens up new paths for research into the structure and evolution of Polaris and other Cepheids." The research team, consisting of principal investigators Research Assistant Professor Scott Engle, Ph.D., and Professor of Astronomy and Astrophysics Edward Guinan, Ph.D., in Villanova's Department of Astrophysics and Planetary Science, as well as Petr Harmanec, DrSc., from the Astronomical Institute at Charles University, Prague, CZ, published its findings in the July 16 issue of Research Notes of The American Astronomical Society. The article, "Toward Ending the Polaris Parallax Debate: A Precise Distance to Our Nearest Cepheid from Gaia DR2," explains the importance of this breakthrough for further study of Polaris, which it says, "serves as an important astrophysical laboratory" for studying stellar pulsation, Cepheid properties, evolution and structure." "Our study of Polaris provides a clearer understanding of Cepheid variable stars as a class," continued Guinan. "Cepheids are fundamentally important for determining the distances to galaxies and the expansion rate of the universe. All but a few are too far away to determine their fundamental physical properties with the precision now provided by Polaris." "It's always exciting when new technology or tools are able to settle old debates," said Engle. "Cepheids are such fundamentally important stars to begin with, and Polaris in particular has long been of great interest. Determining its distance and stellar properties with such precision is exciting in regard to the star itself, but is a great example of what further studies can be expected with the current (and future) Gaia data."